Sid Schwarz writes about tzedek, or pursuing justice, as one key to building lively, meaningful and healthy Jewish communities. My understanding of how we pursue justice in Jewish community in the U.S. is shifting, especially around the relationship that white Jews have with historic and current structures of white supremacy. Maybe because my father and grandparents were immigrants and spoke with accents, I never quite felt “American”. Or maybe I felt like I was American – but I didn’t feel that American history was really my history, or that American culture is really my culture, or that the American story was my story. My story was somewhere across the sea, sung in a minor key, transmitted through recipes for apple cake and Shabbos candlesticks and tales of wandering and seeking a safe home. So, it takes conscious effort for me to try to understand my experience as a white person in the United States, to own this history. It takes effort to see myself as an inheritor of the benefits of white supremacy. It takes effort to understand that my father could make a middle-class life for our family after coming here with just a few dollars in his pocket, not only due to his hard work and devotion, but also because of the path that was already paved for him once he arrived here—a white person’s path that is not, and has never been, available in the same way to people of color. It takes conscious effort for me to see that my story is not only the history of the genocide of the Shoah, and the story of European Jews. My story is also the story of this place –a country built on the genocide of the middle passage. A country built on the economic and political structures that have sought to dehumanize the survivors of the middle passage and their descendants. Structures that endure to this day. And my story is also the story of a country built on the genocide of indigenous peoples, their forced displacement, and the relentless attempts to erase their cultures and identities– attempts that persist to this day. I went to the gardens that night with my son Jesse who was about 11 at the time. I wondered at the courage it took for the Costanoan Rumsen Ohlone people to show up in this place where so long ago their ancestors had lived and died, and where so recently the city of San Francisco had knowingly and openly disregarded them, and desecrated their sacred site. I was overwhelmed by the magnitude of this generosity. The Bear Dance was healing for me. I saw new possibilities for how I can live and move both as a Jewish person and as a white American. I felt, and feel called to cultivate radical generosity, openness, and a willingness to notice my fears, without being deterred by them. And I had entered a new relationship with the indigenous people of the place where I live. In this time, we can ask ourselves two particularly Jewish questions. First: Which parts of Jewish historical experience can help us, and help our allies and partners, to understand what’s going on and how to respond? How can our particular historical experiences and wisdom serve the movement to resist hate and authoritarianism and to build love and healing? And, second: Which parts of our Jewish historical experience will seize us with a terror that sends us retreating into the fortress, where we try desperately to hold the terror at bay by closing our hearts to others, seeing other people as a threat, and using our material resources to bolster our sense of security? In my community we’ve been talking about a strategy of beefing up solidarity instead of beefing up security. It means opening ourselves up instead of closing ourselves off. It means building more and deeper relationships with other communities, especially those that are targeted. It means accepting what people say about their own experience and how they see the world, and staying in conversation even when their perspectives are difficult or painful for us to hear. It means paying attention to who is most at risk here in any given moment, who is most vulnerable, who is most harmed by the systems of oppression that we operate in. It means being curious about the ways that we support and benefit from the structures of oppression that target others–if we’re white, if we’re cisgender, if we’ve got papers, if we’re not disabled, if our ancestors chose to come here from other lands. It means being Jewish in public and inviting people to join us — sharing all the amazing teaching and celebration that’s part of our practice. 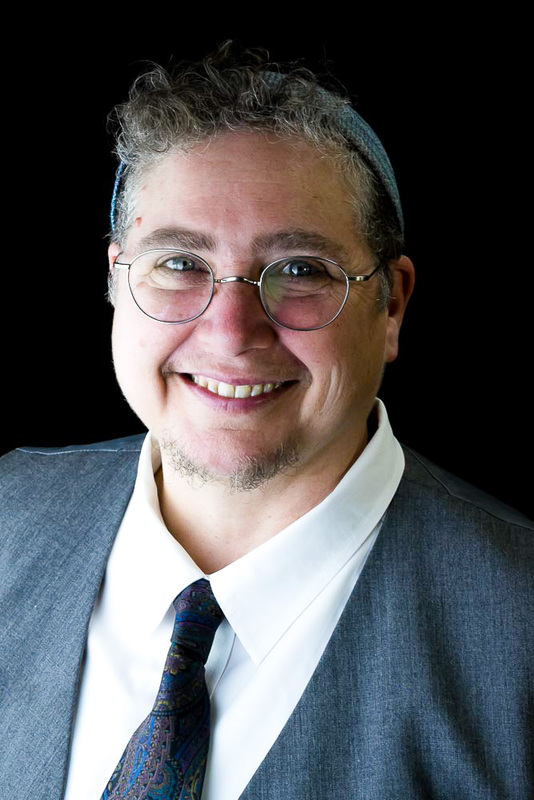 Rabbi Dev Noily serves as senior rabbi at Kehilla Community Synagogue in Oakland, California. They are interested in the intersections of spiritual practice and justice-building.